Philosophers' registration has now closed. Thank you to those of you who registered during March - we'll be in touch shortly to let you know whether we'll need your help. Don't worry if you missed the window - you can still participate by sending a postcard to one of our philosophers over the summer. 1. Do I need to be an expert on Iris Murdoch's philosophy? No. But you need to be able to answer the question 'What does Iris Murdoch mean to you?' We're looking for philosophers who are broadly sympathetic to Murdoch's philosophical attitude and spirit so though you don't need to be an expert we hope you are a fan. 2. Do I have to be a philosophy professor? No. We are looking for philosophers of all stripes, including PhD, postdocs, and independent researchers. 3. What will I be expected to write on a postcard? We don't know what people will send in. As a philosopher respondent it will be up to you to identify the philosophical issues and questions that the postcard raises and respond to them in your own way. If you're able to channel the spirit of Murdoch we'll be delighted, but your own honest philosophical response is what we're really after. 4. Will my address be shared? No - only we will know your address. We will forward a postcard from the public to you along with a stamped addressed envelope. When you've written your reply just post it back to us. We will add a stamp and the address of the sender and send it on to them. 5. When will I hear if I've been chosen to reply? We'll let you know either way before the end of April 2019. 6. When will I receive a postcard from the public and how long will I have to answer it? You will receive the postcard in the post by 15th October 2019, along with a blank postcard on which to write your answer and a stamped addressed envelope in which to return it. Replies must be posted by 1st January 2020. 7. What will happen to my answer to the question 'What does Iris Murdoch mean to you?'? We'll create a page on the website with the names of all our philosophers and we'll use your answer to this question as your profile statement. 8. What will happen to my reply? We will photograph your reply before sending your postcard on to its addressee. After all the original senders have received their reply in the post, we will pair questions with answers on the website and will link your answer to your profile. Later, we may contact you to ask about other uses for your postcard - for example in a publication - but you are welcome to decline. 9. What more can I do? As much or as little as you like! Follow us on twitter, share the website, set up your post-card writing workshops locally, do more #slowphilosophy. Please use the form below to update your personal details if they change. 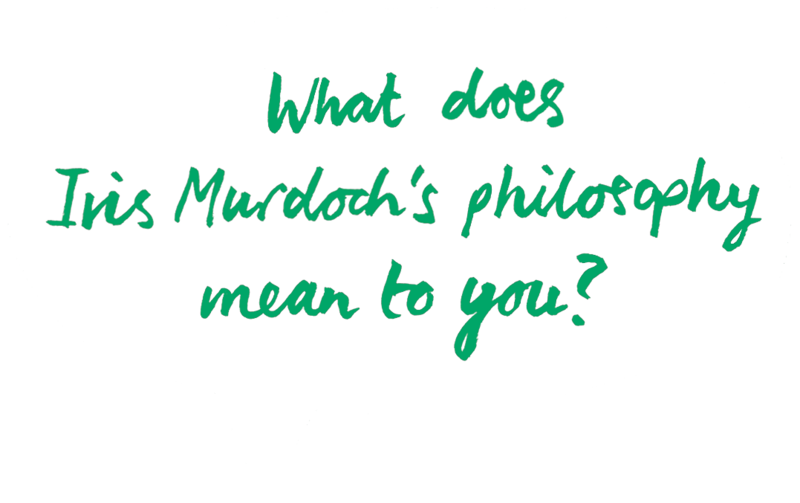 What does Iris Murdoch's philosophy mean to you? Note: 500 character limit. We will use this as part of your profile on this website. © 2019 Philosophy by Postcard All Rights Reserved.